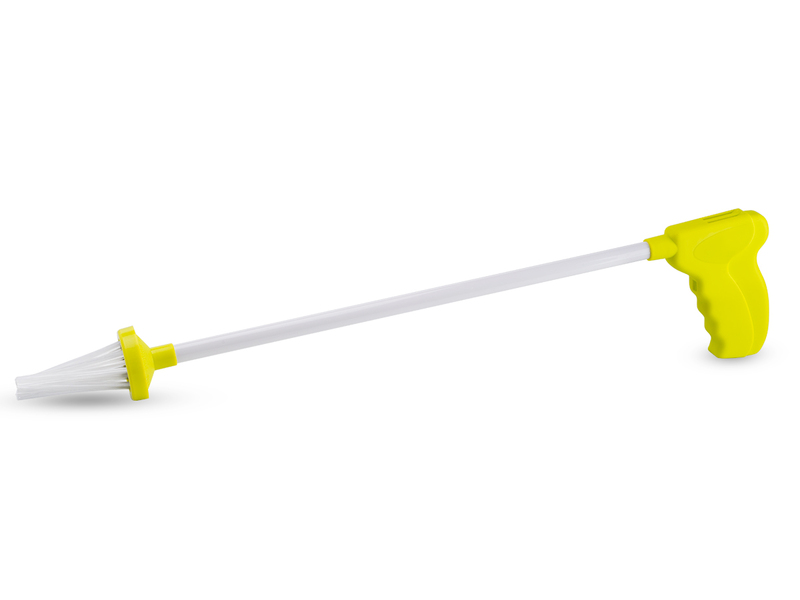 Catching insects will become child's play! Nibble, nibble, mousekin, what pest is nibbling at my housekin? 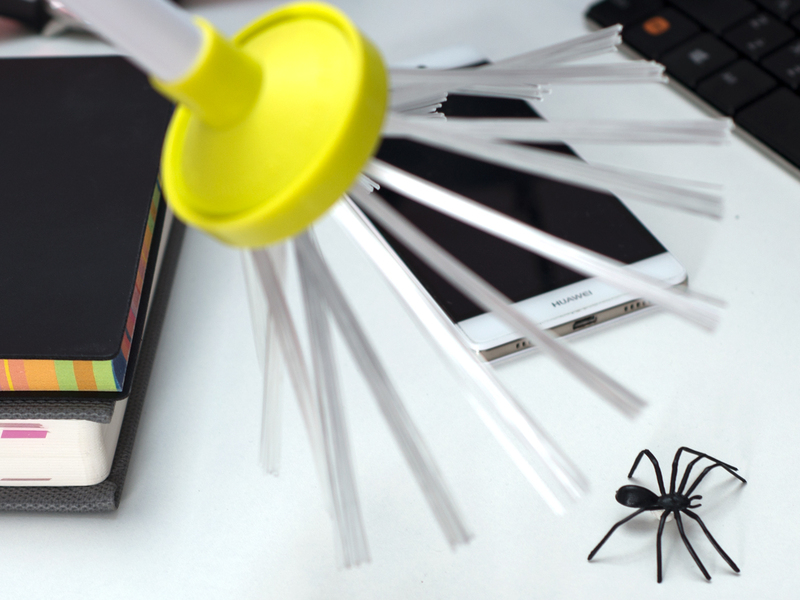 Your home is an oasis of peace and quiet... until a huge, hairy spider disrupts the harmony. It has got to go! But how? You are a valiant knight in all other things, but eight legs against two is not a fair battle. And you can't let the spider do its thing until somebody else gets home. Should you just squash it with a newspaper? That might not be the best idea... your wall will be decorated with spider fragments until the next spring cleaning. Stop racking your brain over the appropriate method of dispelling the eight-legged invader from your home. 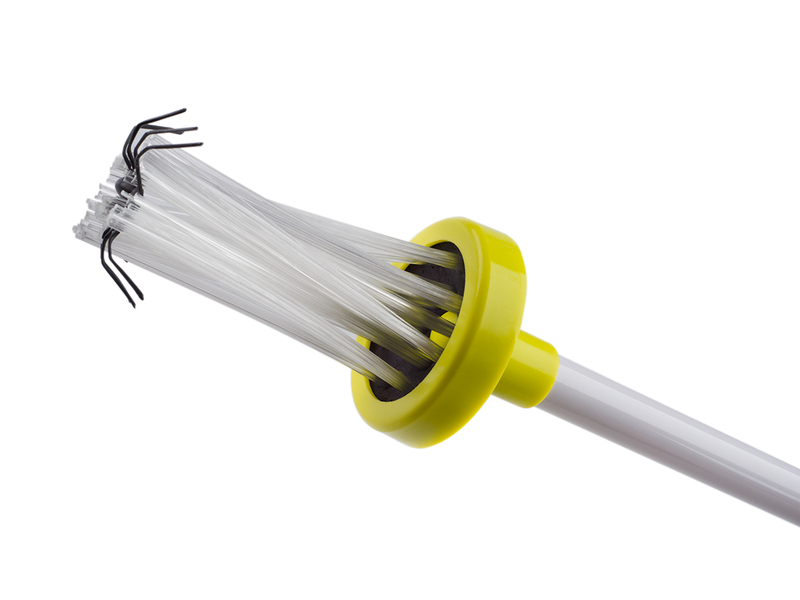 You can do it quickly and bug-friendly with the one and only Spider Catcher! 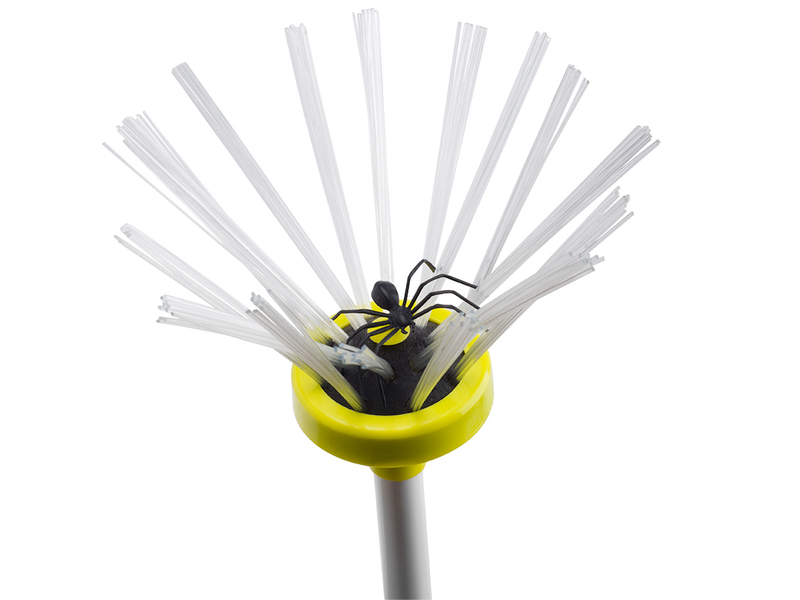 The Spider Catcher consists of an arm-length stick with a convenient grip, with the "spider catcher" mounted at the end. 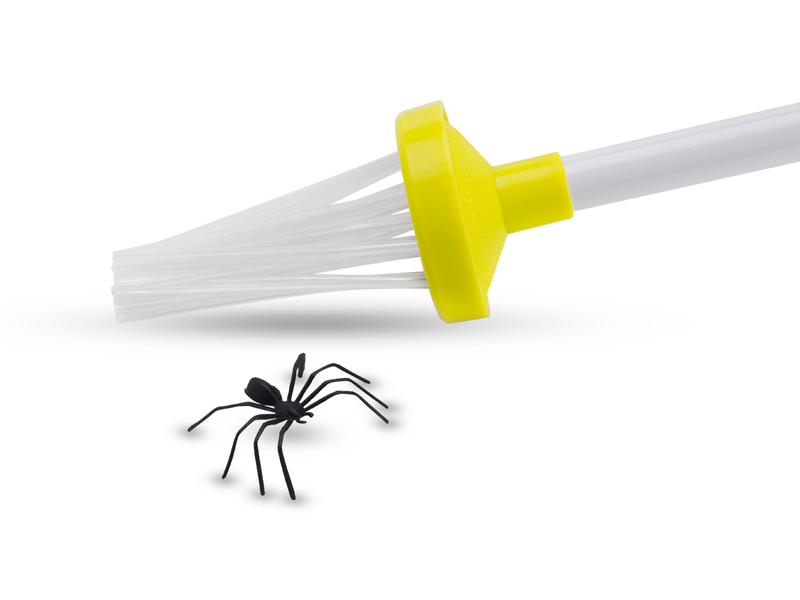 The spider catcher itself is a brush that can be unfolded by pressing a button on the grip. The brush hairs encapsulate the spider, keeping it safe, alive, and trapped. Once you're in the yard, pressing the same button will release the spider. 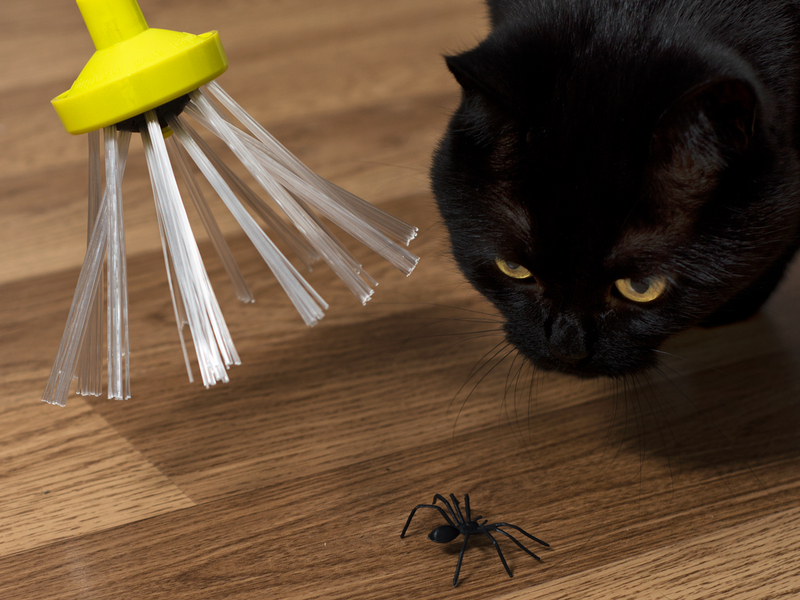 Just remember to set it free at an appropriate distance - you don't want to be hunting the same bloody spider around the house all day!